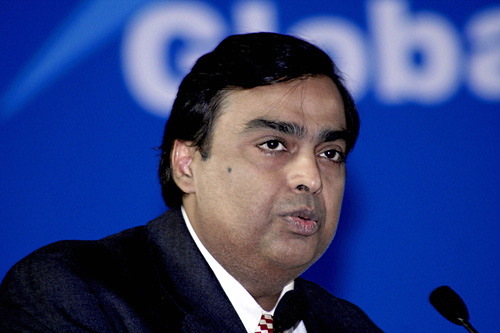 Mukesh Ambani, chairman and managing director of Reliance sector enterprise, was born in Aden, Yemen in 1957, April 19. He is the eldest son of Dhirubhai Ambani, the founder of the Reliance Industries, also regarded as India’s rags-to-riches business tycoon. He did his schooling from Abaay Morischa School, Gwalior and completed bachelor degree from UDCT, University Department of Chemical Technology. After, he got enrolled at Stanford University for MBA but left after 1 year of his studies and joined Reliance Industries in 1981 to further his father’s dream of expanding it across the world. He started his business venture from textile to petroleum refining, petrochemicals and gradually into oil and gas production. Within few years, he assisted creating over 60 new first-class manufacturing facilities with modern technology, finally setting up Reliance Infocomm Limited, which is known to be the world’s largest information and communication initiative. According to Forbes Magazine he is the Asia’s riches person and 4th richest Billionaire across the world with $29 billion fortune. Finance Times of November 2004 referred to a survey conducted by Pricewaterhouse Coopers, which stated Mukesh Ambani as the 42th World’s Most Respected Business Leaders.